Gift from Doris Dannenhirsch-Beshunsky, former coach of Pennguinettes, and Helene Hamlin, 1998, 1999, 2002, 2003. The Pennguinettes Records are organized into two series: Chronological File and General File. 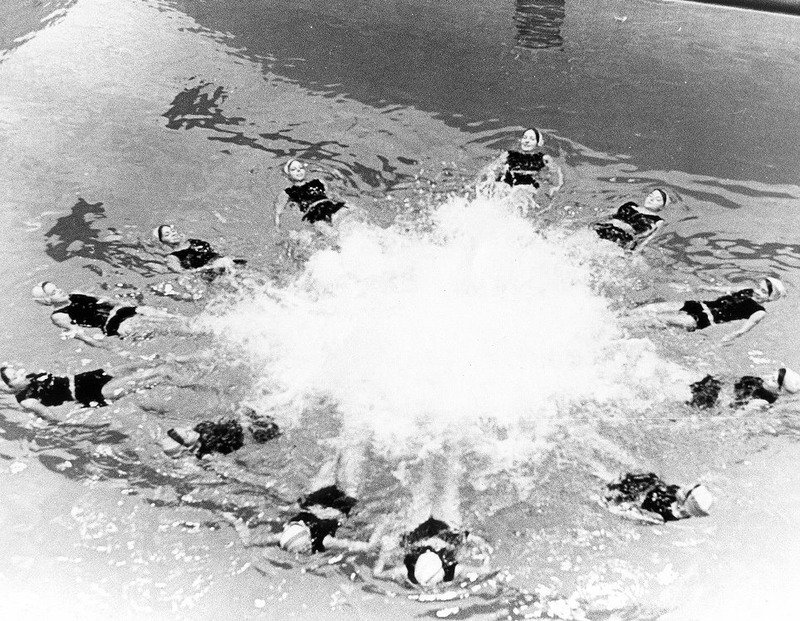 Pennguinettes was organized in 1946 with eight woman students who swam once a year to entertain visitors to campus on High School Day. The group practiced for only part of the spring semester. In 1953, it became an official athletic society under the auspices of the Women’s Physical Education Department and the Women’s Athletic Association. When the Association of Synchronized Swimming for College Women was formed in 1954, Pennguinettes was one of its charter members. In addition to its annual Aquatic Musical, Pennguinettes has performed over the years for Parents Day on campus, entertained handicapped children and adults, and put charity shows on or off campus. It has also sponsored and conducted clinics, workshops, festivals and regional programs. In 1978, Pennguinettes competed for the first time in area intercollegiate meets. Its team placed third overall. In 1990, it won the fourth place in Pennsylvania and the eleventh nationally. This small collection documents the history and development of Penn’s women society specialized in synchronized swimming. Most of the material has been filed chronologically from 1953 to 2003. The collection consists of programs, clippings, posters and photographs.